RECONDITIONING: This 2017 GMC Sierra 1500 Here at R & B Car Company South Bend, we make the necessary repairs before they are put on the lot. We strive to give you a great valued car and take the guessing out of the equation. DEALER CONTACT INFO: Call R & B Car Company South Bend today at (800) 260-1833 TO SCHEDULE YOUR TEST DRIVE of this 2017 GMC Sierra 1500 ! R & B Car Company South Bend. You can also visit us at, 3811 S Michigan St. South Bend IN, 46614 to check it out in person! MECHANICAL FEATURES: Scores 0.0 Highway MPG and 0.0 City MPG! 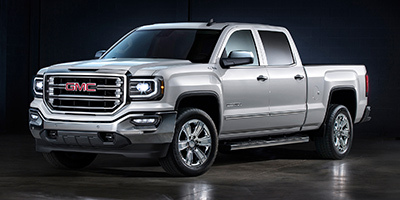 This GMC Sierra 1500 comes Factory equipped with an impressive engine, an transmission. Additional Equipment: Slt Eassist Package / Includes (l8b) 5.3l V8 Eassist Engine, (m5x) 8-speed Automatic Eassist Transmission, (c5z) 7,200 Lbs. Gvwr For 2wd Models, (c6c) 7,400 Lbs. Gvwr For 4wd Models, (uf2) Led Lighting, Cargo Box And (5jy) Soft-folding Tonneau Cover, Lpo, Includes (gu6) 3.42 Rear Axle Ratio.